The Niger Delta risks sliding deeper into conflict and criminality and spreading instability across the Gulf of Guinea, unless Nigeria's President Umaru Yar'Adua responds constructively to recommendations of a key committee. 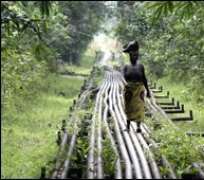 Nigeria: Seizing the Moment in the Niger Delta, the latest policy briefing from the International Crisis Group, argues that the Technical Committee report submitted on 1 December 2008 represents the most promising effort to develop a coherent strategy in the Delta. It urges the government to seize the opportunity for ending armed conflict and beginning longer-term development in the oil-rich region. “The government needs to respond urgently and positively, especially by accepting a third-party mediator, preferably the UN or the Coventry Cathedral centre, to facilitate negotiations with militants and implement amnesty within a program for demobilisation, disarmament, and reintegration (DDR)”, says Nnamdi Obasi, Crisis Group's West Africa Senior Analyst. “With the regional leaders and the militants, it should work to arrest the public's growing distrust, end armed violence and set the stage for sustained, longer-term development”. The Technical Committee's report recommended amnesty for militant leaders within a comprehensive DDR program and accompanied by increased allocation of oil revenues to the Delta. While it did not address all aspects of the region's crisis, its recommendations were sufficiently comprehensive to serve as a catalyst. The Committee had also urged the government to issue a White Paper by 1 January outlining strategies for rapid implementation. The lack of a definite response is deepening disillusionment in the region. “If Nigeria misses this opportunity, the Delta risks sliding deeper into conflict”, warns Richard Moncrieff, Crisis Group's West Africa Project Director. “Insecurity could spread further across the Gulf of Guinea, and Nigeria's oil production and drive for socio-economic advancement will be even more severely disrupted”.